The festive season is well and truly upon us. The weather has begun to change, the leaves are turning beautiful shades of red, yellow and orange and people around the world are slowly getting into the Christmas spirit! The Christmas celebrations in Italy take place at different times to those in the UK, with the bulk of the celebrations falling between the 24th December and 6th January, and Italian traditions differ a little from those in the UK, also. If you are thinking of visiting Italy during the Christmas celebrations this year, we’ve got a little guide so that you can learn all about their customs and traditions while staying at one of our villas to rent in Italy. The Feast of Immaculate Conception beginning on the 8th December marks the definitive beginning of the festive period, and once this feast has been enjoyed, the Christmas spirit will be seen all around. By this point, Christmas markets will be in full swing, and the lights and decorations will light up the many towns in Italy giving them a magical ambience. The Novena is the name given to nine days of prayer that will often lead up to Christmas. At this time traditional songs will be heard from all around, particularly in the South of Italy, where bagpipes will also sound! The festive cheer fills the air and gets the whole community in the spirit of Christmas. You’ll find that the closer it gets to Christmas Eve, the bigger, better and more elaborate the events and displays will become! 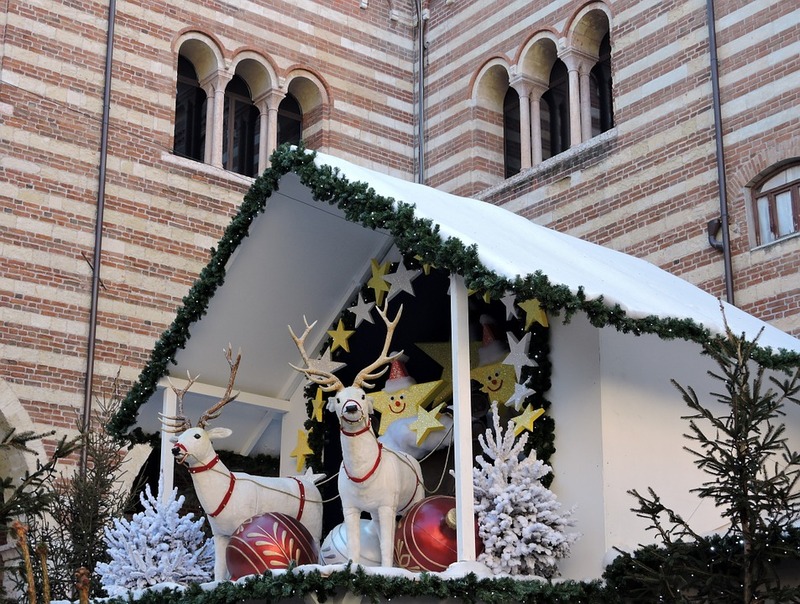 One of the most important parts of Italian Christmas celebrations, most festive displays that you will see across the country will feature some form of presepe, the Italian name for the nativity scene. 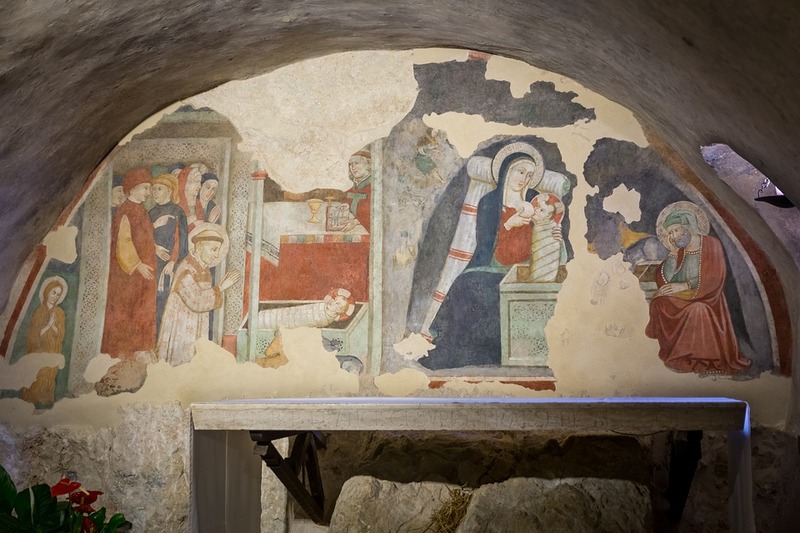 Made popular by the famous St. Francis of Assisi, a key figure in the history of Umbria, the baby’s crib is a vital part of the season and will be found in churches, at piazzas or on street sides, and is a tradition that has spanned hundreds of years. The presepe used to be one of the few decorations used around Christmas, however in recent years the popularity of trees, lights and other common decorations has increased, creating a more recognisable festive scene. The crib is traditionally put out around the 8th December, but the baby Jesus is not added until the evening of the 24th. Christmas Eve is a big event in the Italian calendar, with bonfires and fireworks aplenty. In most areas of Italy, a meatless meal is eaten on Christmas Eve, usually in the form of baked fish dishes – this is to prepare and purify their bodies for the feast that is to come on Christmas Day. After the meal, families would traditionally head to midnight mass before returning for a small meal of classic Italian panettone accompanied by a mug of rich hot chocolate. There is no traditional meal eaten by Italians on Christmas Day – the food usually consists of a grand meat dish accompanied by plenty of snacks. The festivities in Italy continue to run from Christmas Eve through to the Epiphany on the 6th January, which is when Christmas presents are traditionally handed out. The Italians love to celebrate this period in style with grand events, fantastic spreads of food and, of course, the coming together of friends and family. 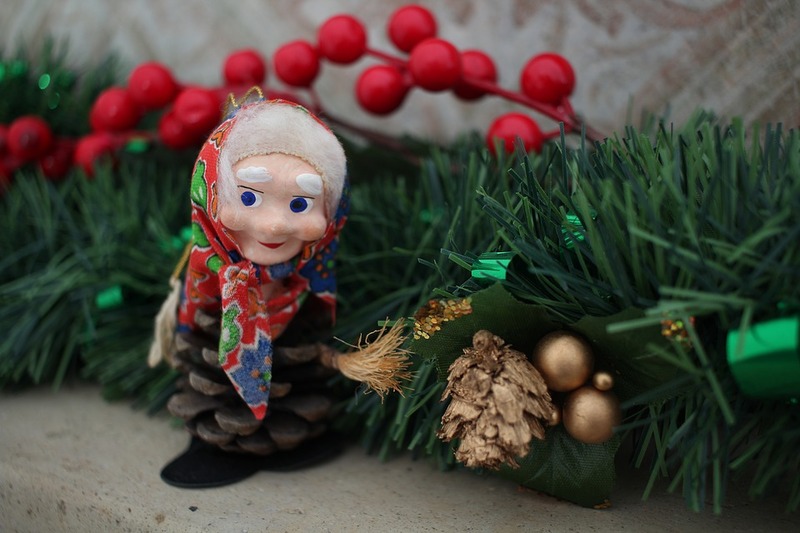 La Befana is a female witch figure that spreads joy and love to the entire world. For children, Befana plays a similar role to Santa Claus in the UK and usually brings gifts to children on January 6th, for Epiphany, as this was when the three wise men bought gifts to Jesus in the biblical stories. Most parts of Italy will, however, also give gifts out on Christmas Day. A deeply religious and traditional country, there are few places in the world that celebrate Christmas as well as Italy. With a mix of joyous, festive celebrations and historic religious practices, we’re sure you will leave having experienced a true, meaningful Christmas with the people you love.